Slip and Fall in a Nursing Home: Can You Sue? Nursing homes are there to provide individuals with extended care and safety due to age, ailments, or when recovering from surgery and illnesses. When something bad happens at a nursing home facility, you may wonder what your options are in terms of holding them accountable or receiving compensation. Nursing homes today are often inadequately staffed and may have dangerous conditions present. Whether it is due to inadequate supervision or wet floors, slip and falls are one of the more common injuries seen in the nursing home setting. For elderly individuals, a slip and fall can be devastating – even life-threatening. Therefore, it is important to know what your options are if you or a loved one is injured in a slip and fall accident at a care facility. To take a slip and fall claim to court, you must prove that the owner of the premises caused your injury. 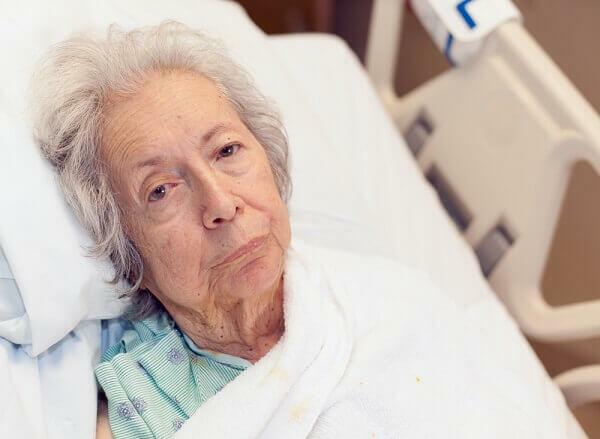 To prove negligence, you must first establish that the nursing home owed you a duty of care. Then, you must establish that the nursing home or their staff breached that duty of care, that the breach resulted in your injuries, and that the injuries resulted in some form of damages. All property owners and managers owe patrons and visitors a duty of care by providing an environment that is safe and reduces the risk of injury. If the owner or manager is aware of a potential hazard that could cause injury, they are required by law to take reasonable measures to correct that defect or prevent people from being injured by it. Failure to do so is considered negligence. Nursing homes have a higher duty of care than the average retail store owner or property owner. They are required to care for their patients and prevent injuries. Slip and fall accidents are those that are preventable, even in a nursing home. Therefore, if one occurs, the nursing home can often be held liable. Nursing homes are required to keep their patients safe. After all, that is what family members, insurers, and patients pay the facility to do. If a patient falls when trying to get themselves out of bed, then the facility could be liable if they did not properly supervise that patient or have staff on-hand to assist him or her. Also, if a patient slips and falls in a hallway due to wet floors, the facility is liable because they did not take measures to clean up the spill and prevent a fall. If you or a loved one is staying in a nursing home and suffered a serious injury, contact the attorneys at Van Sant Law, today. We are here to work as your advocates and seek the compensation that you deserve for your injury case. Schedule a consultation today at 404-991-5950 or request more information online.